08 Apr The First Share Recovery Presentation – A Success! Thank you very much to everyone who attended the first, of what we hope to be many, Share Recovery Events in Victoria, BC. A special thanks to Neal Berger for his expertise, humour and presence. Thank you to Island Health for providing the space and most importantly thank you to our community members who attended. We have come to know that it truly takes a community to heal from addiction. We would love to hear your input in regards to what topics you would like to see covered at future Share events. As a thank you for your input, we have curated a digital resource list of local and online recovery supports related to the topic presented. We also may add additional resources that are suggested through this survey that we missed. If you would like to receive future notifications about Share please follow our facebook page or sign up for our newsletter. 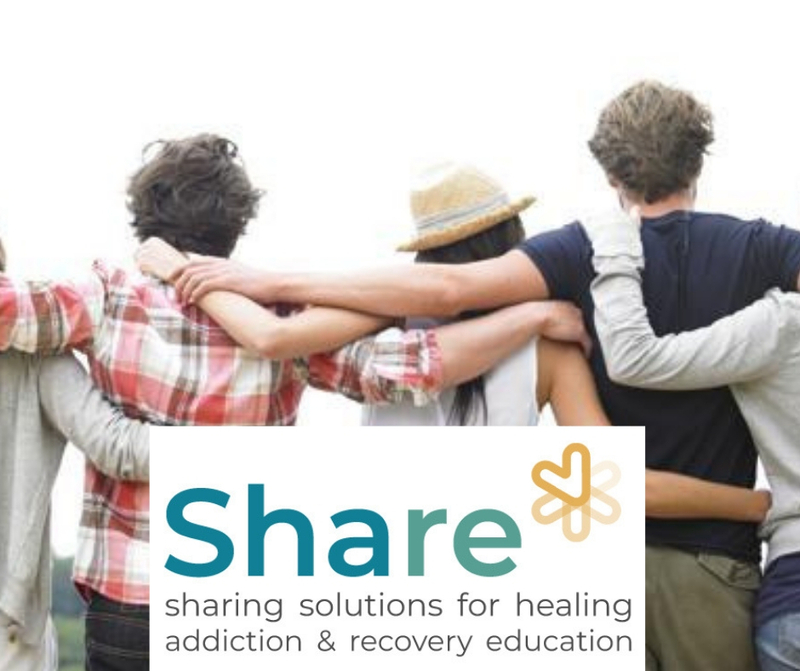 Share (Sharing Solutions For Healing Addiction & Recovery Education) is a non-profit, community engagement series of talks designed to educate, and share solutions with, individuals, communities, and organizations impacted by addiction. Pegasus Recovery Solutions Ltd., host of the Share Recovery Education Series, provides non-residential, accessible, and comprehensive addiction recovery solutions for substance use and process related addictive disorders. Our team, located in Victoria, BC, is comprised of dedicated and credentialed addiction professionals with extensive experience in addiction treatment and recovery. Through the Intensive Outpatient Program, Family Support Groups, Individual Counselling, Recovery Coaching, and Medical Monitoring, the team at Pegasus is here to support you on the path of recovery – every step of the way. The Family Support Group at Pegasus begins on April 11th, 2019.